Using funds from the National Science Foundation grant (under NSF’s TRIPODS and Convergence Programs), IFDS is funding four Research Assistants this semester to collaborate across departments on IFDS research. Each RA is advised by one primary and one secondary adviser, all of them members of IFDS and all affiliated with the Wisconsin Institute for Discovery. 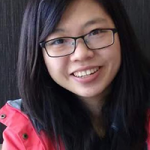 Ke Chen (Mathematics) is working with adviser Qin Li (Mathematics) and collaborator Stephen Wright (Computer Sciences) on utilizing compressed sensing techniques to extract the sparse structures of solution space to partial differential equations (PDEs). Since PDEsm that demonstrate multi-scale phenomenon have approximately low rank solution spaces, random sampling techniques can be used to compress PDE information. 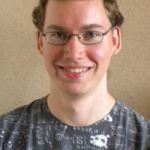 Ryan Julian (Mathematics), advised by Nigel Boston and collaborating with Dimitris Papiliopoulos (Electrical and Computer Engineering) is doing research on nonlinear algebraic methods for coding theory and data representation. 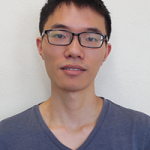 In particular, he is working on improving the known bounds for the size and minimum distances of rank modulation codes for flash memory and finding families of codes that approach these bounds as closely as possible. He is also looking for ways to apply some of these nonlinear methods to machine learning, where moretraditional linear coding theory has already found several useful applications in distributing workload in gradient algorithms in a manner that is resistant to node failures and attacks. Xiaomin Zhang (Electrical and Computer Engineering), advised by Po-Ling Loh (Electrical and Computer Engineering) and Jerry Zhu (Computer Sciences) is investigating problems in high-dimensional statistical estimation, particularly in relation to applicationsinvolving “machine learning debugging.” She is formulating statistical algorithms for identifying buggy subsets of data with rigoroustheoretical guarantees, and understanding the role of clean vs. buggy data pools in informing the quality of a statistical estimator. Lili Zheng (Statistics), advised by Garvesh Raskutti (Statistics) and collaborating with Rebecca Willett (Electrical and Computer Engineering) is working on several problems associated with the IFDS’s Networking theme. 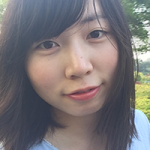 Lili is developing a hypothesis testing framework for high-dimensional time series models and is developing estimation mguarantees for high-dimensional marked point process network models. The marked process models include applications to social science involving twitter data.